UPDATE: If you’re a Google Chrome user you might have to click “Load Anyway” at the top to get the full form. If you’re using Internet Explorer, click “Show All Content” at the bottom of the page. Firefox users should have no problem. 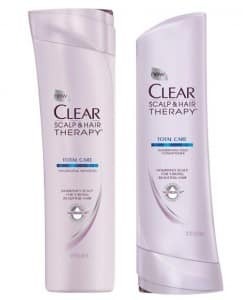 Here’s another free sample from Clear Scalp. Just a heads up though, I had to refresh the page twice for the form to go through. Still does not work. Bummer. This sounds like a product I would like. CANT WAIT TO TRY IT!! I found the vip word’ it was CLEARstyle. wont let me submit my request!! ?